With this cute dummy chain from Elodie Details the dummy will not fall on the floor anymore - practical and super pretty! 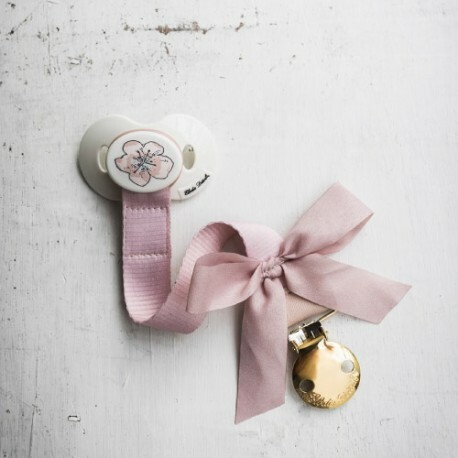 This pretty dummy chain in rose with an adorable bow is from Swedish Elodie Details. The dummy chain is an easy and hygienic way to keep track of the dummies. The dummy chain attaches to the clothing with a gold clip in nickel-free metal. The dummy attaches to the chain with a little rubber ring and can be used for dummies with or without ring. The dummy chain is of 100% nylon and measures 22 cm. All Elodie Details’ dummy chains live up to EU standard EN 12586.